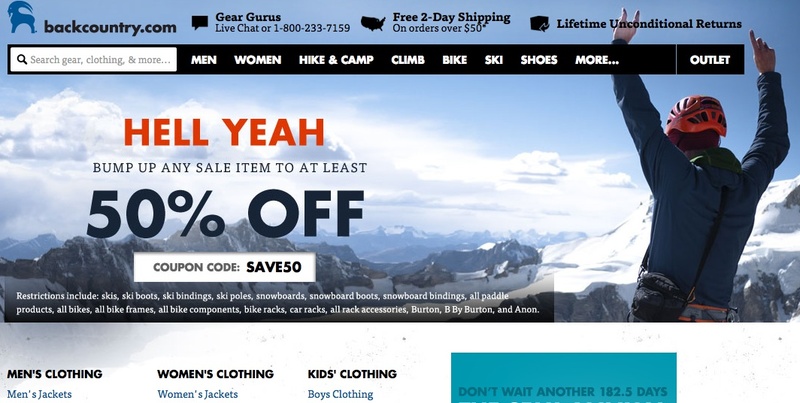 Backcountry.com has their “Hell Yeah” sale going on right now. Bump up any sale item to 50% off. Looks like entire lines of good ultralight backpacking gear are on sale. Montbell down jackets, Patagonia, Arc’teryx… entire size runs are available too. You’re almost never going to find some of this stuff discounted. Great time to buy!